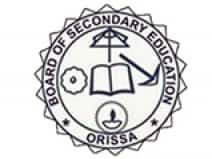 In Odisha, The Council of Higher Secondary Education, Odisha (CHSE) conducts Class 12th examination and Board of Secondary Education conducts the High School Certificate Examinations (BSE Odisha HSC 10th result). BSE Odisha 10th Board Exam ended on 8th March. While CHSE Odisha (+2) or 12th Board Exam concluded on 30th March. All the students are eagerly waiting for the results. Last year around 5.90 lakh students appeared for the 10th board examination. The pass percentage for Odisha Class 10 was 76.23 per cent. For open school candidates, the pass percentage was 41.93. A total of 36 schools had registered zero results. The district with the highest pass percentage was Baleswar, which had recorded a pass percentage of 88.25. BSE Odisha 10th Result 2018 was announced on 6 May. Last Year, Odisha Plus Two Result (Science Stream) was declared on 19th May while Arts and Commerce stream result was declared on 9th June. Odisha Plus Two Science Stream pass percentage in 2018 was 77.98%. Odisha Plus Two Arts Stream pass percentage in 2018 was 68.79% (Girls: 75.39%, Boys: 60.88%). And commerce pass percentage was 74.91% (Girls: 78.48%, Boys: 73.11%). Odisha 10th and 12th Result 2019 are expected to be announced in the month of May-June. Students can check the results of the 10th, 12th Board Examination on www.livehindustan.com. Apart from this, the results can be checked on the official website of the Board.